This is an awesome example of bring brand values to life, Canon’s new TVC for their Pixma colour printers. In what is becoming a must for any serious TVC campaign, the online making of the ad is as important as the ad itself. This simple but visually stunning commercial is a great vehicle to bring key brand values like spirit, technology, inventive, adventurous and of course colour to life. It’s up there with the SONY Bravia Ads for brilliant way to bring a key brand value to life it a truly unique and memorable way. I love this exploration of colour in more and more creative ways. 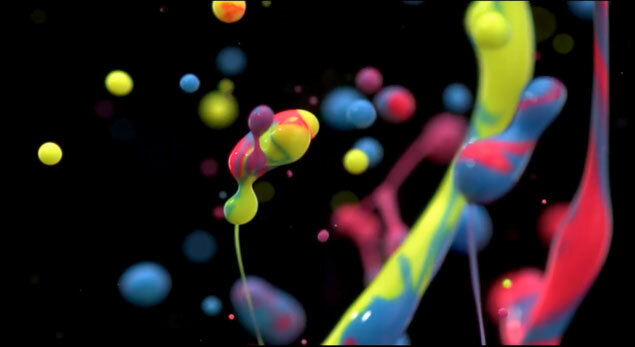 First the Sony Bravia campaigns, now Pixma creating sound sculptures from paint. The abstract nature of this imagery seems literally out of this world. And the way they tie that into the colour printing process is a very clever piece of brand communication.